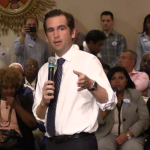 The Hudson County Central Labor Council endorsed Jersey City Mayor Steven Fulop for re-election earlier today. 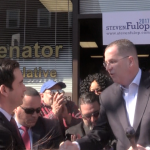 Photo courtesy of the Fulop campaign. 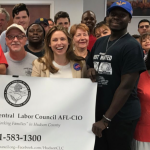 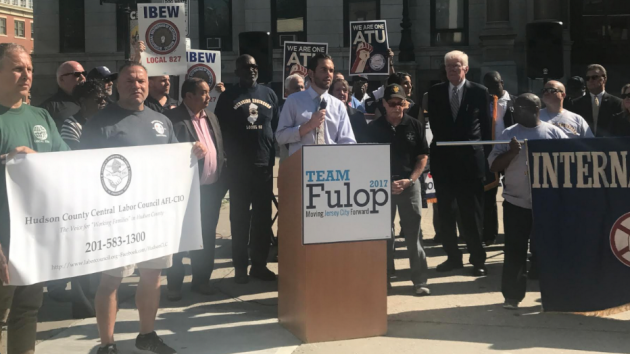 “We are excited to have the opportunity for this endorsement, and we look forward to continuing to build a stronger Jersey City with the help of labor unions,” added Fulop. 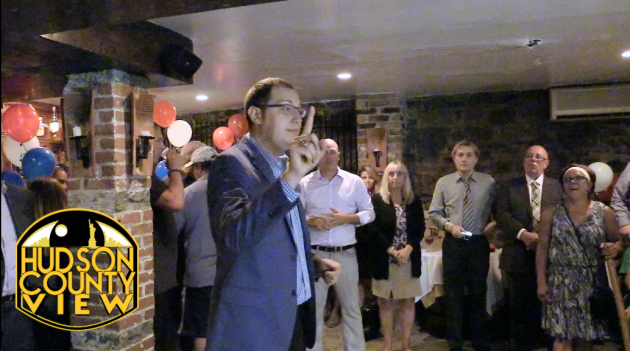 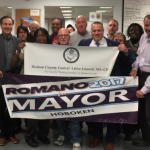 Earlier this week, the HCCLC endorsed Freeholder Anthony Romano (D-5) for Hoboken mayor. 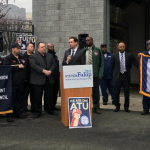 The HCCLC represents Amalgamated Transit Workers Union NJ State Council, Communication Workers of America Local 1037, Health Professionals and Allied Employees, International Alliance of Theatrical Stage Employees Local 59, International, Brotherhood of Electrical Workers Local 164 and 827, International Federation of Professional, Technical Engineers Local 194, International Union of Operating Engineers Local 68, International Association of Machinists NJ State Council, Marine Engineers Beneficial Association D-1, Seafarers International Union of North America, Laborers International Union of North America Local 3, AFSCME District Council 1199J, Plumbers UA Local 24, Pipefitters UA Local 274, and Hudson County Central Labor Council Retirees Chapter.